You want all of your students engaged in the lesson – even when you don’t want a high-movement activity with lots of group interaction. So what do you do? 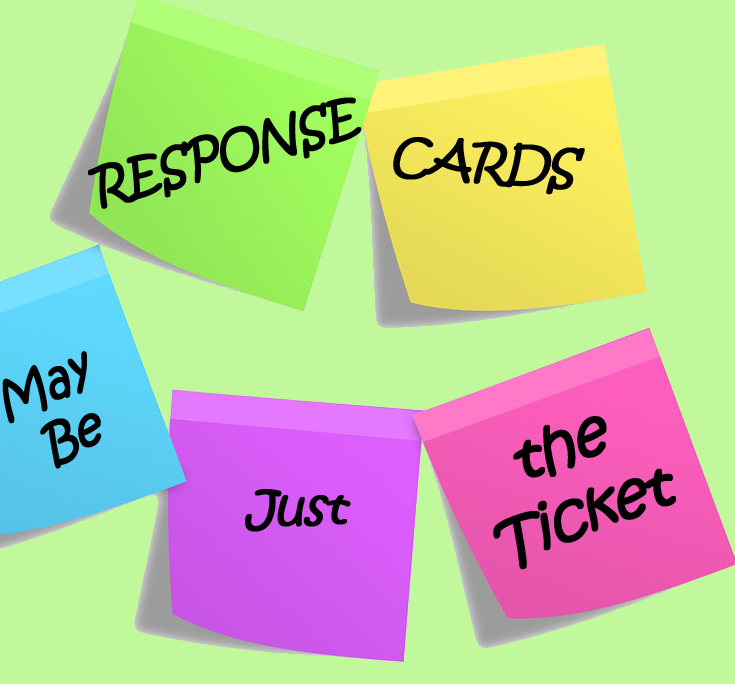 For times like these, response cards may be just the ticket! 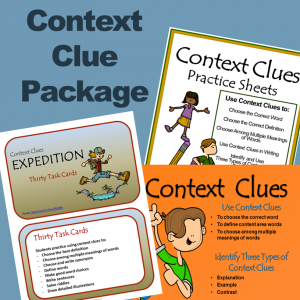 There are many types of high response cards that can easily be incorporated into a variety of lessons in any subject area. Maybe have a few basic types laminated to use over and over, and then also make occasional new ones with specific content. Here are a few possible types. Make two cards for each student -Maybe a red one and a green one, or maybe one that says YES and one that says NO. 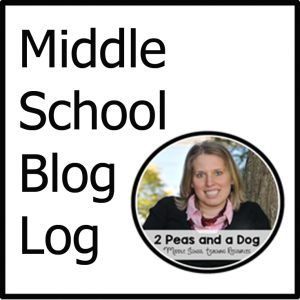 Students can use these to respond to a variety of questions starting with basic TRUE/FALSE. One other idea might be for a proofreading lesson in which you show sentences on the board and ask students whether the sentence is correct or whether there are any errors in it. A history teacher might use BEFORE/AFTER cards as she presents historical events and students indicate whether the event happened before or after a landmark date. Or how about AGREE/DISAGREE cards to initiate a class discussion? 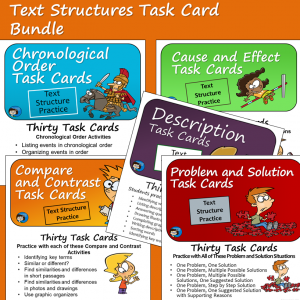 For this set of cards, make three or four cards per student. Again, you could color code them, or label the cards A, B, C. There can be used to practice test taking skills for those tricky multiple choice questions. Or put a key on the board, such as RED = Adjective, BLUE = adverb, PURPLE = Preposition, and have students use the cards to practice identifying parts of speech in sentences that you present. Or use the cards to have students choose historical eras or math operations. Sometimes you will want a set of multiple choice cards with responses that are specific to a topic you are covering. 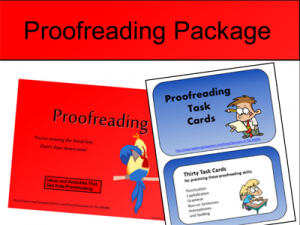 In these cases, making a quick set of printable cards using PowerPoint (easier to use than Word for lots of printables), and if you don’t want to bother laminating and storing them, just use paper cards for the day and save your file for future use. 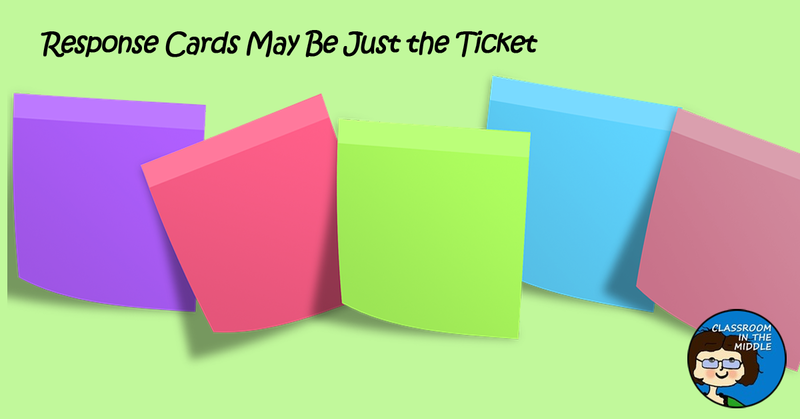 Or to make it really easy, use sticky notes and have the kids make their own cards. One use of this three card system that I found interesting was to use them to check for understanding. Using the classic GREEN/YELLOW/RED cards, students were asked frequently during a new lesson if they were clear on everything so far. GREEN meant “I’ve definitely got it,” YELLOW meant “I’m not 100 % sure yet,” and RED meant “I’m still struggling with the idea.” In this demonstration, students were encouraged to use all three colors and praised when they help up yellow or red. A student who help up one of these colors was allowed to choose a classmate to call on for an explanation. 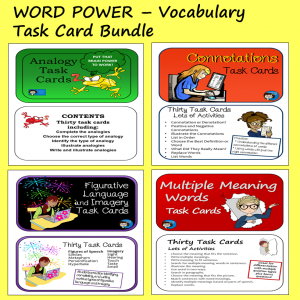 The nice thing about vocabulary cards is that you might not have to make them at all! If you have your students make their own vocabulary cards to practice with, pull out a set occasionally and have students use them as quick responses while you present definitions of sentences with a missing word. Of course, your high response cards don’t really have to be cards. Popsicle sticks work great too! Another good idea that I read about was to use one card per kid with all of the answers on it. Each student also gets a clip. After you present a question, students place their clip next to their answer choice and hold up the card. And another time-honored high response material is little individual white boards or slates. There are a number of benefits to using high response cards. High student engagement is definitely at the top of the list, but there is also the ease of making and using these materials, and the high amount of use you can get out of a few sets of cards. 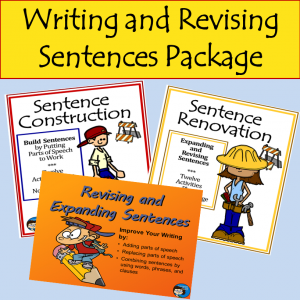 In addition, using high response cards is quick way to gauge your students’ progress.